Bixio Braghieri experiments different materials transforming their function in sculptures that play with the meaning of them. 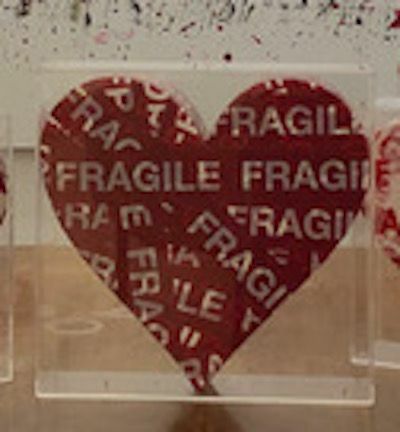 The heart covered with adhesive tape "FRAGILE" declares the fragility of "feeling". For this artwork expect the delivery time to be longer than usual. If you wish for a specific delivery date, please contact our team at info@kooness.com.